The Southeast Warren Web Store accepts online payments via credit or debit card for lunch accounts, registration and other fees. Check out the Warhawk Store. You will find all kinds of garments and accessories to customize with Warhawk artwork and place your order direct. There are categories for men, women, kids, accessories and jerseys, and many designs to select. This is ideal to do some shopping for your Warhawk student and other SEW fans. The site is sponsored by our athletic scheduling company, and 12% commission will come back to benefit the school. Your purchase will support our school with visual advertising AND financial donation. It’s a win-win. Check it out by going to link below. 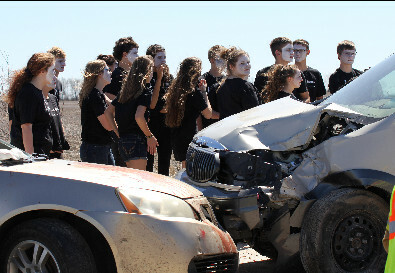 On April 8, 2019, the Southeast Warren Jr-Sr High school students had the opportunity to learn a real-life lesson without the tragedy and risk. 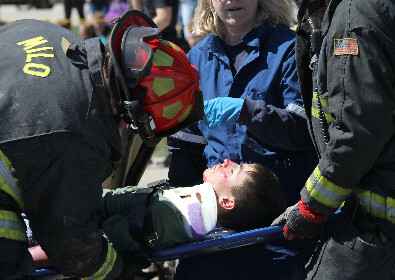 In cooperation with local law enforcement, fire departments and rescue teams, this lesson was brought home to our students with a mock accident resulting from driving under the influence. 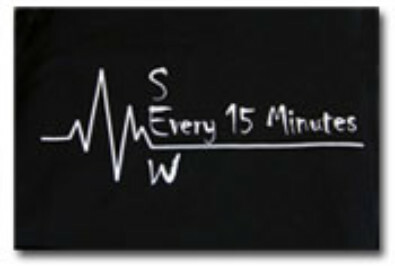 The innovative program entitled “Every 15 Minutes” is designed to dramatically instill the potentially dangerous consequences of drinking alcohol, among all teenagers. 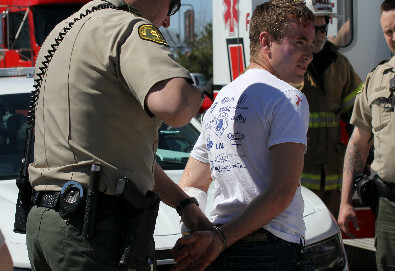 “Every 15 Minutes” refers to the fact that a person is killed in an alcohol-related traffic collision every quarter hour. While primarily targeted toward preventing alcohol-related traffic injuries and fatalities, the program is also designed to challenge students to think about drinking, personal safety, and the responsibility of making mature decisions when lives are involved. This event was coordinated through: Lucas County Hospital, Mercy One, Warren County Sheriff’s Office, Iowa State Patrol, Tomin Towing, Lacona Fire & Rescue, Milo Fire & Rescue, Judicial District 5B, Southeast Warren and Melcher-Dallas videography team, Warren County Emergency Management, Warren County Attorney’s Office, Pierschbaucher Funeral Home, Keith Smith, and Southeast Warren Schools. .
We would like to thank all of those who chose to take part and we would like to encourage you to have a discussion with your child about the ramifications of under aged drinking. Want to check on your students' grades? Infinite Campus allows parents & guardians to view district announcements, schedules, in-progress grades, attendance, and homework assignments, depending upon the class and grade level. If you need a login, you may request a one by contacting any of the building secretaries, or Sue Ellingson at the High School. 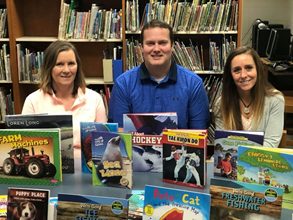 Peoples Bank donated more than 100 new books to the Southeast Warren Primary and Intermediate School libraries in December 2018. The books were handpicked for the students in both buildings and include many of the children’s favorite authors and subjects. This is the second year that Peoples Bank has donated books to the SEW School District. Last year they donated books to the Junior/Senior High School. Pictured: Connie Frazier, Peoples Bank Milo Branch Manager; John Burrell, Elementary Principal; and Elisha Vickroy, Media Center/Technology Associate. 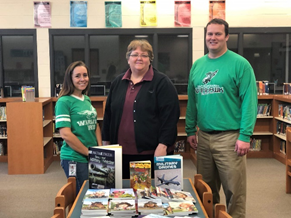 Pictured: Elisha Vickroy, Media Center/Technology Associate; Peggy Williams, Peoples Bank Lacona Branch Manager; and John Burrell, Elementary Principal. The Southeast Warren Athletic Boosters are invaluable in their support for our athletic teams. Please consider becoming a SEW Athletic Booster Sponsor. Your sponsorship contribution of $25 helps pay for many things that individual organizations can not. You will also see your name on all athletic programs as a supportive member. Every sponsorship helps make a difference to our athletes! Click here for more information on the SEW Athletic Boosters. Our school district has many talented students in the arts - whether it's a Kindergarten student bringing home that picture you put on your refrigerator, a high school student in a school play, or possibly a 5th grader just learning to play a musical instrument. Parents and community members can make a difference for these students. The Fine Arts Boosters plays a vital role in supporting our fine arts programs. If you have a child in K-12 involved in Art, Music, Speech, Debate, Drama or Band, you are automatically a member of the Fine Arts Boosters. Please plan on attending a Boosters meeting and help us discuss some ideas on a fund raiser and a showcase of the talents of the students involved in the Fine Arts! Thank you! Also, a special thank you to the 2014-15 Building Trades class of Garrett Butler, Brandi Putz, Sarah Nutting, Josh Mosher, Reagan Champ and Doug Wilmeth. Thank you for your hard work! Southeast Warren Primary School has signed up for a fundraiser with Planet Green. To help our school and participate in this fundraiser, just bring in your empty inkjet cartridges & cell phones to the Primary School. Southeast Warren has online access to the book catalog for each of our libraries. Students and parents can browse the library to see what books are available. The mission of our Teacher Leadership Compensation (TLC) plan is to develop leadership opportunities for exemplary educators that will further improve instructional practices and increase student achievement. Click here to check out what the K-12 TLC team is learning and working on at Southeast Warren. All visitors to Southeast Warren School buildings are required to check in at the principal's office. A Visitor pass on a green lanyard will be issued so that staff members know that your presence has been approved. If you are in the building without a Visitor pass, you may be asked to return to the office to obtain one. At the end of your visit, please return the pass to the office.